Inspired equally by nature, particularly plant life, and science fiction, Philippe Caron Lefebvre creates otherworldly works out of a huge variety of materials including wood, wax, ceramics and Styrofoam. Philippe Caron Lefebvre’s sculptures look like something David Cronenberg might have dreamed up, only prettier. Currently working on his Master’s thesis for Concordia’s Fine Arts program, Philippe is an emerging artist who has already shown at a variety of galleries, including at Galerie Antoine Ertaskiran. First trained as a potter, he works in an incredibly wide variety of media, including ceramics, wood, insulation foam, wax mould and origami. 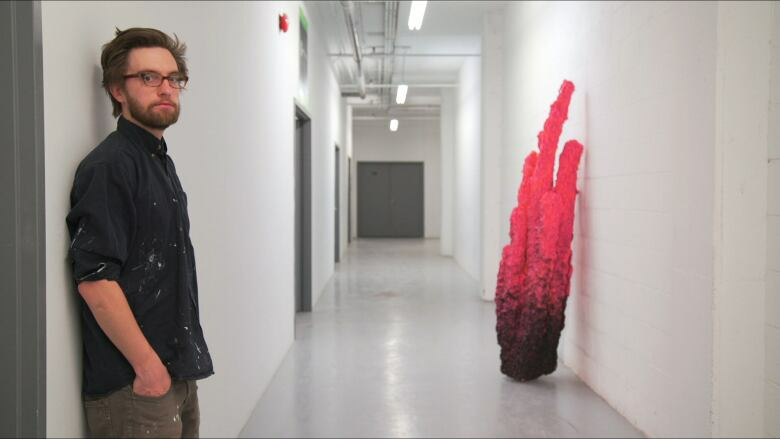 He uses glazes and spray paint mixes that give his objects a shiny, metal, futuristic quality, but generally is interested in shapes that evoke the natural world, like budding plants, cacti and weird fruit. He grew up in the Laurentians in an art-friendly family and feels that his contact with nature fed his interest in those themes. The plants he likes to get inspired from have more exotic qualities, however — he’s particularly taken by the idea of plants with defensive mechanisms like spikes and thorns. 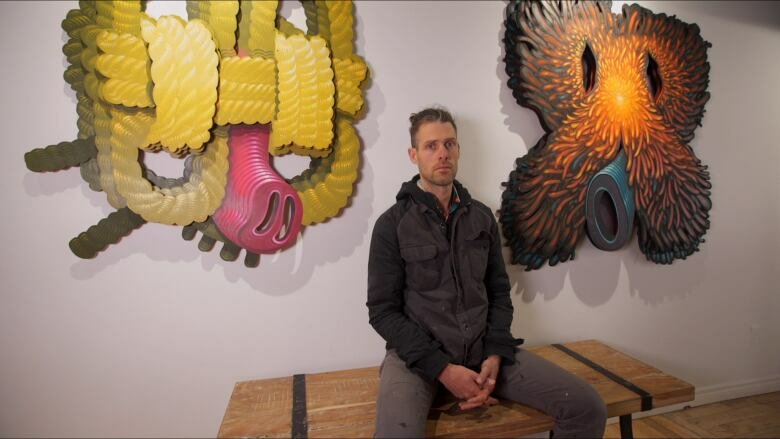 Jason Botkin loves to think big. He's one of the founders of the En Masse collaborative mural project. His own work spans murals, drawings and bright, colourful masks on plywood that bring some of the energy of street art into gallery-sized pieces. Street art isn’t something Eddy knows a lot about. Fortunately Jason Botkin, co-founder of En Masse, is the perfect person to help him wrap his head around it. The daughter of an Algonquin mother and a French-born father, artist and filmmaker Caroline Monnet makes work that she says is a “big hybrid between European and Native,” encompassing influences that range from native bead work to European cinema. 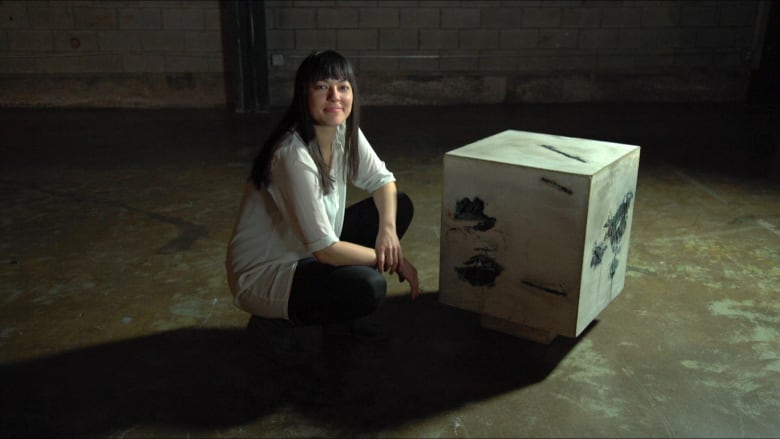 Caroline Monnet is a self-taught artist who uses sculpture, painting and installation to address her French and Algonquin heritage. Jannick Deslauriers is a textile artist who makes work that is huge and high-impact, but delicate and detail-oriented. Jannick Deslauriers’ textile sculptures are the ultimate contrast between form and function. Take her almost life-size tank made of delicate fabric - she draws attention the intrinsically violent use-value of an object by reducing it to a fragile and easily damaged sculpture. Her use of transparent fabric evokes a ghost-like presence and highlights the ephemeral nature of varying objects like a piano or an apartment building. Jannick is now rendering her sculptures into drawings by outlining the edges with dark thread, imitating the pencil outline of a sketch and arranging the pieces in 3D perspective to create the experience of walking through a drawing. Jannick is an emerging artist represented by Art Mûr gallery and she also teaches visual arts at Cegep Marie-Victorin in Montreal. Maskull transforms ordinary things into the extraordinary. He is a sculptor who has been known to divert meaning by carving, repurposing or transforming utilitarian objects such as musical instruments, firearms, books, brooms and chairs into completely new things. He makes both formal and social statements with his works, questioning our relationship to things and their purpose; but most of all, his works arrest the viewer with their sheer unbelievability. Every new piece brings with it an in-depth learning experience for Maskull; when he wants to create a work with a piano, he learns how to build a piano. When he wants a guillotine, he builds a working guillotine. He’s a technician with incredible attention to detail (just look at the carvings he makes out of wood), but he also makes ultra large-scale pieces, like his full-sized piano crushed by a giant boulder. He is represented by Pierre-François Ouellette, and despite being considered an emerging artist, has sold pieces to institutions including the Montreal Museum of Fine Arts. 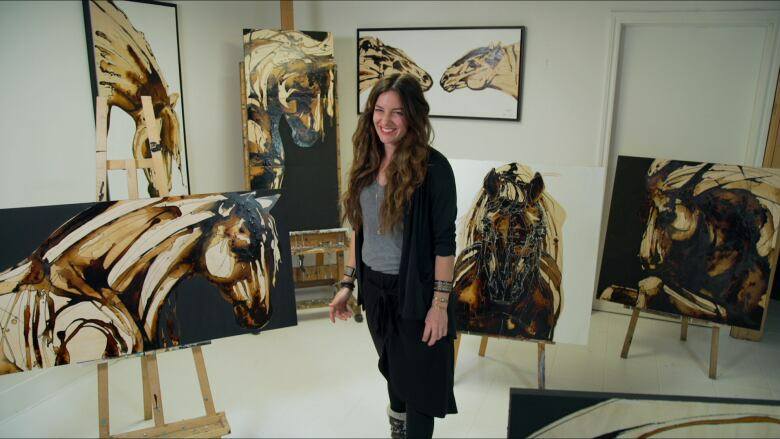 An experienced portrait artist, Kate Puxley’s exploration into the animal world began with painting and sketching. She would sketch animals as she found them in real life and in museums - and sometimes, as she found them on the side of the road! 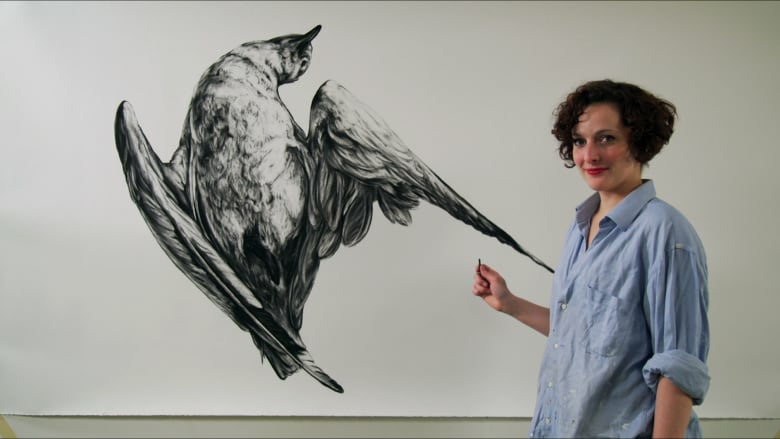 Inspired by the delicate balance between human and animal life, Kate’s fascination led her to study the age-old art of taxidermy, through which she now rebuilds the animals she finds and gives them new life in her artworks. With her careful hand and great respect for animal life, Kate’s taxidermy is far removed from the practice of “trophy” hunting. Kate is a classic emerging artist who has a few things on the go to pay the bills - she sells her work privately, performs as a singer and is about to launch an Italian lunch counter with her husband. She is unrepresented but has exhibited in a number of group shows and with Galerie Yves Laroche. 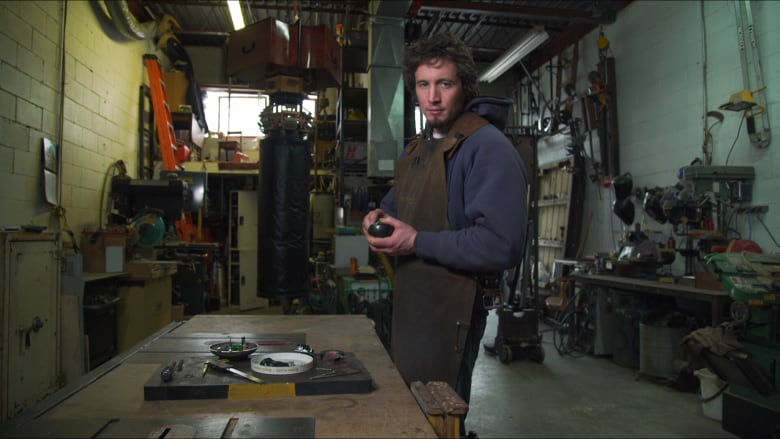 Laurence Vallières is from Quebec City but has been living and working in Montreal for a few years now. 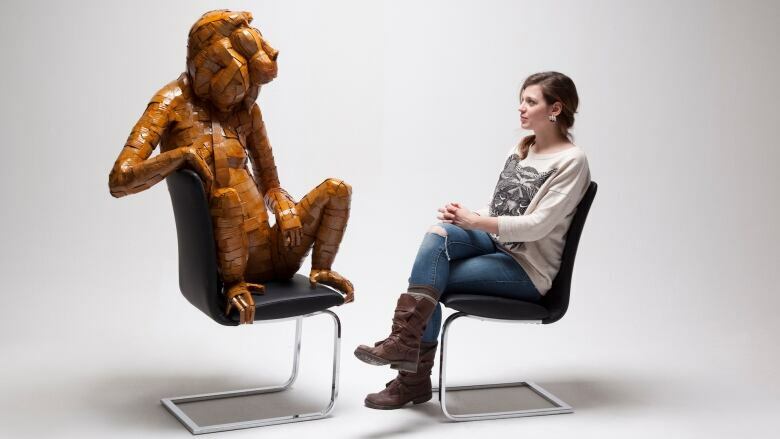 She has become known for her amazing outsized animal sculptures made from simple cardboard. Her works defy the senses with their attention to detail and the anthropomorphism she is able to create with simple means – her animals seem practically alive at times. 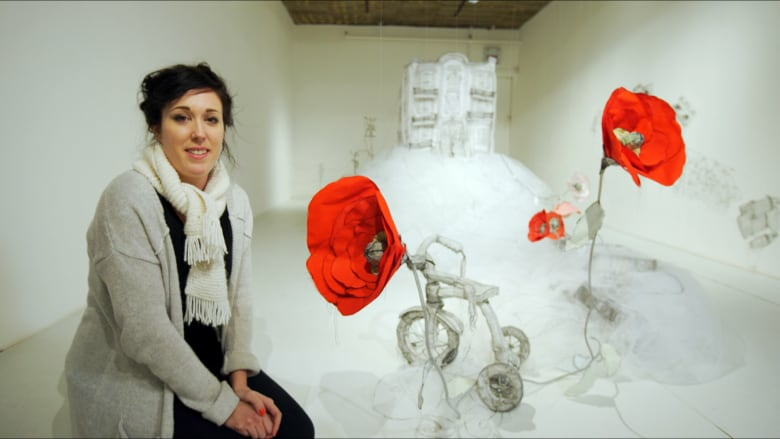 She works with different galleries and festivals in Montreal and internationally, and does lots of commercially driven public works – she had a giant rabbit in the Ritz in the fall, and is building a 9-foot-tall gorilla for the Philadelphia zoo. She often imbues her work with a sense of social commentary and uses humour to draw attention to questionable human behavior. Jessica Potenza is a self-taught artist who has managed to develop a unique technique and find a market for her work in only a few years. She paints using coffee (! ), Japanese ink and acrylic paints and at 31 years of age, is finding success in her second career. Horses are close to her heart - she spent most of her life in the Equestrian world as a rider, coach and trainer. Back in 2011 she started to dabble in painting and following a few sales to friends and family, the snowball started to gather momentum. Cavalia, the traveling equestrian and performing arts show, got in touch and at every stop on their travelling show, they feature Jessica’s coffee paintings in their mobile gallery space. She works out of the back of an art store in the heart of Montreal’s Little Italy and, no kidding, across from the famous San Simeon coffee shop (arguably one of the best coffee spots in the city). Jessica Potenza combines two of her great loves, horses and coffee, to make paintings that look like nothing else. Laurence Vallières creates massive sculptures of animals out of recycled cardboard —sculptures that give you the distinct feeling that there's less difference between us and the rest of the animal kingdom than we'd like to think. Kate Puxley makes charcoal drawings, sculptures and dioramas that all stem from a fascination with something that rarely appears in works of fine art: roadkill. Maskull Lasserre takes utilitarian objects — doors, boxing heavy bags, hand grenades — and rearranges them to create brand new works that mess with your expectations. 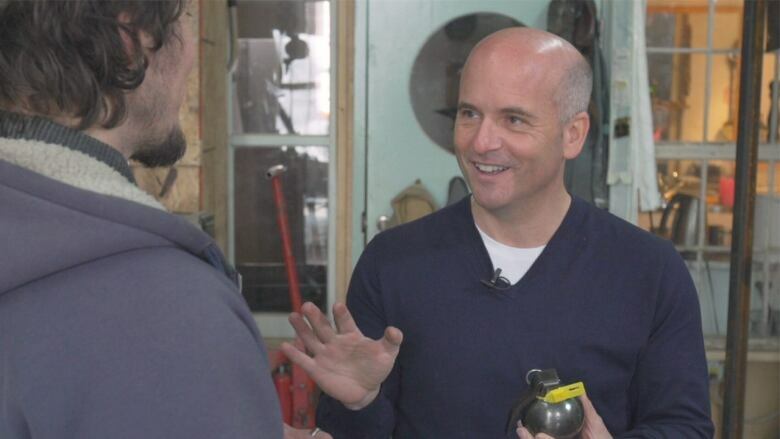 We chatted with Montreal art dealer Eddy Rogo about his new web series and what it was like getting to know up-and-coming artists.